The Gates of Vienna section of Café Press is finally up. The Baron hasn’t included everything yet; right now it’s ceramic coffee mugs and a large variety of T-shirts. I had no idea one could find so many different textures, styles, and prices. Later on, buttons, magnets and bumper stickers will be added to the selection. However, I wouldn’t recommend bumper advertising if you live in a Blue neighborhood. Don’t forget all that name-calling and fussy foot-stomping James Wolcott is subject to. I want pencils eventually, too, but I’m not sure Café Press offers those. They probably don’t offer ashtrays, either - apologies to our Danish friends, who smoke like chimneys. Wouldn’t it be cool to have cigarette lighters? You can see what’s on offer here. We have kept it to the lowest mark-up they allow. Holger Danske merchandise will shortly be available also. You can scare everyone with his evil eye. In addition, there are plans for Islamophobic items of various sorts, so we can keep our JOOOish reputation intact. 1. The combined EU economies are substantially better now than when I lived here in the pre-EU early 90s. This is clearly a result of their Euro currency. My US dollar isn’t worth crapola anymore in Europe! So, given those 2 observations, is the EU really as oppressive and terrible as we generally perceive? What am I missing? Arguably, I’m such a cynic that I don’t think non-elites really have any influence on politics anyways so maybe that’s why I am not seeing it. I kind of relate it to what it must have been like way back in the day. Take Germany for example, which was (I think) something like 300 separate mini-states before being brought together [by Otto Von Bismarck]. Each of those states had self identities and all had the same fears of homogenizing, but I think history shows that a combined Germany is far stronger, and the individual customs of each mini state are still alive and well. So, in my mind, even if there was some vast conspiracy to combine Canada, USA, and Mexico into one larger group, I still don’t see the danger in it. People are still vastly loyal to their individual states (ahem! Texans) even when those states are part of a greater whole. I mean, its not like the US isn’t already overrun by immigrants from both countries. How could it get any worse? First, the EU economies are not substantially better than they were in the 90s. Many are at the same level, others are worse. Ask any Italian what he thinks of the economy at the moment and if you’re lucky he’ll just shout at you for a few hours. The only reason your dollars don’t seem to go far any more is because the dollar has fallen significantly, not because the euro has risen. The euro is placing a massive inflationary burden on the EU economies, which no longer have the mechanism of altering interest rates in order t control inflation. Further, there is no mechanism for national debt transfer, as exists in the US, which places further inflationary pressure on individual member states. This pressure is compounded by inflation in members states that are net recipients of EU funding (Spain and Ireland as examples) who are able to cut taxes to miniscule amounts because they’re getting funded by the other EU member states. All of this is combining to produce an inflationary economy with no control mechanism. Unemployment has risen constantly within the euro zone since the euro was introduced, and productivity has fallen just as constantly. National debts are going up, taxes are rising, GDP is falling. Secondly, it is interesting that you mention Bismarck’s German unification, as it has bearings which I will get to in a moment. First, let me say that much of what you perceived is, again, an illusion. Individual nations are slowly losing their national customs as laws and regulations are ‘unified’ across the continent. National institutions might appear unchanged, which might then present an image that the nations in question are unchanged, but this is simply a signature of how the EU functions. Those national institutions have been hollowed out from the inside and replaced with EU functionaries and apparatchiks. The EU bypasses national legislatures and operates through the implementation of an ever more powerful unelected bureaucracy of civil servants and managers. Thus normality appears to remain. However, in my country, the traditional and ancient freedoms of common law are being slowly abrogated by the implementation of bureaucratic systems. Habeas corpus is being erased, the right to travel within the borders of this country are being erased, the freedom of the individual is being erased. In fact, this country no longer officially exists. Look at any EU-approved map and you’ll notice that, while the UK is marked clearly, its constituent parts are not England, Ireland Scotland and Wales, but Scotland, Wales, northern Ireland, The North West, The North East, The Midlands, the south east, the south west and greater London. My country is gone. Your revolutionary war was started with the cry of “no taxation without representation”. Well, I am definitely no longer represented in the government that runs my country. In all but a few areas, the laws that are implemented through Parliament are defined by the EU. The elected government of this country now only has the freedom to legislate in a few areas; foreign policy, health and education being the main. Agriculture and environmental policy, transport, internal affairs of various sorts, prisons policy, immigration, these are all legislated by the EU, with barely a nod to the national legislature. MPs will get perhaps 12 hours to examine a draft law in these areas before putting it to vote — which will generally be ignored anyway — and these drafts will often run to 30 pages. An MP will get several of these drafts every single day, dozens in a week. And this is just the legislation that is passed through Parliament. The EU can simply define legislation as an administrative or technical regulation and bypass the elected legislature entirely. All of this from an organisation that was sold to us on a lie. The EEC was put across as a free trade zone. I never voted for the creation of a supranational, unaccountable government that does not submit to the will of the people via an election. In fact, I did not vote at all. I have never had a say on whether I want my country — which no longer exists — to be a part of this. The EU has no mandate and never has. Now, Germany is a more apt comparison than you might realise. Bismarck conceived the unification of Germany as a means to prevent the German kingdoms from fighting each other. He began to implement it when those same kingdoms were on the verge of signing an unprecedented peace treaty; his manipulations caused a war that gave him the pretext to simply conquer those other kingdoms, or trick them in to treaties that irrevocably tied them to his Imperial Germany. He began with a customs union. The EU has not resorted to wars to implement itself, but it began in the same way, and with the same aims. The EU was conceived as a means to prevent another war like the Great War, but it was interrupted by the Second World War. By the close of that war the political landscape had so changed that the concept of the EU was obsolete before the first treaties were even signed. It is consequently an institution looking for a role, and it has since found that role by re-positioning itself as a counter to American ‘hegemony’, a second pole against the US’s presence in the world as a super-power. This is in itself a foolish proposition; historically it is more foolish still, because history demonstrates that it will cause more trouble than its worth. Bismarck’s united Germany did become peaceful for a while, but that peace didn’t last long. The internal fractures of the new Imperial Germany soon started to cause strife and resentment amongst the people of that country. A solution was found in the redirection of the national angst toward external enemies. The eventual result was the great war. The result of that was World War 2. The ‘unification’ of the nations of Europe is the same thing on a much larger scale. It is perhaps no coincidence that incidents of anti-Americanism have risen sharply since the signing of Maastricht. The EU has placed itself in opposition to the United States. It has inveigled itself so deeply in to the lives of its ‘citizens’, so deeply embedded itself in to every aspect of life, that everything a person does is regulated in some way by the EU. As examples; In order to install an electrical socket in my kitchen I must comply with at least eleven separate regulations. Some are sensible, governing the type of wire to use and the general direction that wire should go in. Others are nonsense; in order to comply I have to place my sockets a certain distance from the floor no matter what their purpose. EU regulations now mandate by law the kind of taps I’m allowed to use in my bathroom. They mandate the height of my door, the height of the gap between the door and the ceiling and the angle of my stairs, to millimetre precisions. Every day I break about 30 laws whilst engaged in what were previously lawful activities. Most of these laws are EU-inspired regulations prescribing the details of how activities are to be carried out. My computer does not comply with regulations on lead content, electrical output or anything else, despite being perfectly safe. The lights in my house will soon be made illegal. None of this was done with the consent of Parliament. None was done with the consent of the people of this nation. These are just little things, little examples of how the EU interferes in every-day life. They are a tiny fraction of the laws and regulations that are implemented by the EU; thousands each year, each one limiting the freedom of people just that little bit more. Sooner or later the sheer volume of regulations will start to affect people culturally. Our culture is slowly being eroded and destroyed by this vile institution, our national identities removed, our freedoms erased, and the end result? Inevitably, it will be war, but before that will be a morass of dull, lifeless existence for millions of people shorn of everything that once made their nations great. What price the ability to spend the same coin in 20 countries? As a Bloody Yank, I lack standing to comment on these issues. European readers, both inside and outside the EU, are invited to add their two centimes’ worth. 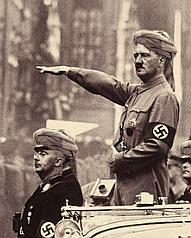 Apropos of the EU, everyone should read Fjordman’s latest: Towards a Totalitarian Europe. Jurors in the year-long Old Bailey trial heard of plans to target a shopping centre, nightclub and the gas network with a giant fertiliser bomb. The judge, Sir Michael Astill, said the men, all British citizens, had “betrayed their country”. It has also been revealed some of the plotters met two of the 7 July London suicide bombers. Mohammad Sidique Khan was spotted on four occasions in 2004 with at least one of the fertiliser bomb conspirators. At one point MI5 officers followed Khan back to his home in Leeds but no further action was taken. In the wake of the convictions both the Conservatives and the Liberal Democrats have both called for an independent inquiry into the 7 July link. The call for an inquiry was echoed by Graham Foulkes, whose son David died in the 7 July attacks. He said an inquiry was needed so “lessons could be learned”. Later, in the House of Commons, the Home Secretary, John Reid, ruled out an inquiry, saying it would divert the efforts of those in the security services who were so busy countering the terrorist threat. Hmm… this is redolent of the 9-11 Commission. Independent inquiries are not something a government minister wants to contemplate. Police smashed the plot in 2004 after MI5 had watched an Islamist extremist network with links across the world. The link with 7 July was deliberately kept from the Old Bailey jury for fear of prejudicing their deliberations on the fertiliser bomb plot. And now there will be no inquiry. Doesn’t sound like due diligence to me. “May never be released”? What does that mean? British readers are invited to weigh in with their opinions about how long these animals are likely to remain incarcerated. In the USA, parole opportunities would vary from state to state, and would depend on the terms of the sentencing. Sometimes it really is life without parole; sometimes they get out in twelve or fifteen years. In any case, this is pretty stringent sentencing by European standards. Note: an additional Fjordman post on this topic can be found here. In a speech in the year 2000, Mr. Bush stated that the future of the United States cannot be separated from the future of Latin America, the ultimate goal of which should be “free trade from northernmost Canada to the tip of Cape Horn,” and that he desired a “special relationship” with Mexico: “Should I become president, I will look South, not as an afterthought, but as a fundamental commitment of my presidency.” He kept that promise. There are indeed some parallels between the USA and Europe. Mass immigration to the US is aided by an unholy alliance of corrupt political elites, Big Business supporters and anti-Western Leftists. There is little doubt in my mind that some members of the political elites in North America are envious of how their counterparts in Europe through administrative decisions have managed to fool their electorates and quietly bypassed the democratic process, gradually abandoning border controls in favor of a regional block. Left-wingers support this for the same reasons as left-wingers in Europe: They desire Third World immigrants because they tend to vote for left-wing parties and support expanded welfare states. Some left-wingers also see it as a goal to erase the Western cultural heritage and the white majority, again, just like in Europe. Some Big Business supporters tend to see immigrants as cheap labor and a new servant class. Of course, unlike some other countries, they get citizenship in the US, which means that the “servants” will eventually end up owning the country. Lastly, there is a desire by the political elites to get more “reliable” political clients by importing political corruption from Mexico and sideline the democratic process with behind-the-scenes decisions and bureaucratic feudalism, similar to EU. This serves to bypass the restraints so unfairly imposed on them by Thomas Jefferson, James Madison, Alexander Hamilton and the other US Founding Fathers. 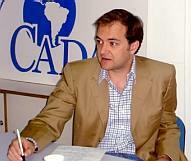 According to Fredo Arias King, who has worked with US-Mexico relations, “A sociological study conducted throughout the region found that Latin Americans are indeed highly susceptible to clientelismo, or partaking in patron-client relations, and that Mexico was high even by regional standards.” It is conceivable that these higher levels of political corruption will be imported to the US through Latin American immigration. And maybe some members of the political elites desire this? Americans have the largest military arsenal in human history, yet are seemingly unable to protect their borders from millions of illegal immigrants. Why? Because their authorities don’t want to enforce their border. There really is no other way to explain this. The corrupt Mexican elites use the USA as a safety valve to divert attention from their own failures. The only reason this works is because American elites don’t care about the US as a country and because Americans in general are suckers from Political Correctness. 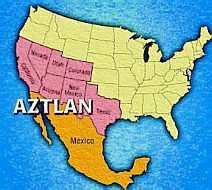 While the United States is planning to colonize the Moon, Mexico is colonizing the United States. I almost start to question the entire democratic system when I look at this. Our democracies are based on nation states. But what happens if our elites no longer care about upholding and defending these nation states? On both sides of the Atlantic, Western nations seem to have trouble upholding their borders, and I suspect this is partly because most of the political, cultural and financial elites don’t want to uphold them. Maybe in the old days, the interests of the elites largely coincided with those of their nation states, which were used as a vehicle for gaining as much power and influence as possible. Now, increasing segments of these elites no longer feel any emotional attachment to their nations, and desire larger entities to enhance their personal power and prestige. This is why they are building regional economic blocks in both Europe and North America. This process has gone further in the smaller nation states in Europe, where post-national elites have even usurped legislative powers which override national constitutions and parliaments, but still, the developments are related. There never was a debate in the United States on whether to merge the country demographically and economically with Mexico, the elites just quietly implemented it. Likewise, there has never been any debate in Europe about merging the continent with the Arab world. Since the people probably wouldn’t have agreed to this, they simply weren’t asked. The problem is, it is actually possible to do this in the 21st century, because wealthy nations will face constant pressures from migration that are unrivaled in human history. Powerful elite groups can thus permanently change the demographic make-up of their countries by simply abstaining from upholding their territorial integrity. 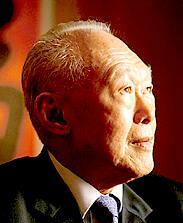 According to Singapore’s long-time leader Lee Kuan Yew, it is demography, not democracy, that will be the critical factor in shaping the 21st century. I don’t know whether that’s true, but it’s true that countries that cannot control their demographic future will not be able to control their democratic future, either. Maybe our democratic system will break down because our elites no longer are interested in supporting the nation states it is based upon. Not a nice thought, but it needs to be asked. In 2005, more people left California for other states than arrived. This situation is unprecedented during the past 150 years. “Illegals push you off the sidewalks, ram your cars, and speed through red lights and stop signs while honking their horns like they did in Mexico, and refuse to even entertain the notion of ever learning English. Welcome to Los Angeles,” read one Californian’s online posting. LA Mayor Antonio Villaraigosa is concerned that an increasing number of Latino gangs are targeting African Americans in campaigns to drive blacks from some neighborhoods. A Californian friend sent me a link which showed that some of the large film studios have considered leaving Hollywood because Los Angeles is becoming a Third World city, with little glamour left. If it remains true that trends start in California and spread to the rest of the country, the USA is in trouble. Meanwhile, Karl Rove, the influential political adviser to President Bush, explained the rationale behind the president’s amnesty/open-borders proposal this way: “I don’t want my 17-year-old son to have to pick tomatoes or make beds in Las Vegas.” Parts of California, which since the 19th century has been an economic engine of the United States, are collapsing. Meanwhile, the president’s administration worries about American tomatoes. This means that Multiculturalism is a form of cultural and genetic Communism, where the goal is to create a new people by erasing all kinds of historic differences. It is somewhat ironic that a generation after the United States helped bringing down the Soviet Union, ideas that are in some ways related to those of the latter are spreading in the US. Americans should be careful with this. Culture matters. Will the United States remain recognizable if it is no longer defined by the Anglo-Protestant culture that it was founded upon? Mexicans do not share these illusions. 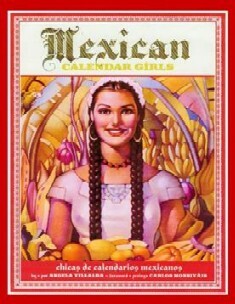 They see themselves as Mexicans and Hispanics, and desire more power for their tribe, not for the US nation as a whole. Sooner or later, the white majority will start seeing themselves as just another tribe and act accordingly- what happens then? What happens if there is a serious economic recession in the US caused by booming debts and Asian competition? Americans seem to have this near-religious belief that once you set foot on US soil, all the religious, cultural racial and ethnic tensions found in the rest of the world will disappear. Since the slogan in the United States is “strength through diversity,” does that mean that the world’s last remaining superpower consists of increasingly diverse ethnic groups with no common culture, only tied together by an ideological lie? The last superpower that was in this situation disintegrated. The Soviet Union failed because its economic model was flawed. US capitalism is much more robust, although still vulnerable to large budget deficits. But the Soviet Union also failed because it envisioned itself as a universal nation that had left cultural differences behind. Could the USA be about to make the same mistake? Many observers are forecasting a new superpower race between China an the USA in the 21st century. It is true that China has problems of its own. Its huge population base is both a blessing and a curse, and the country suffers from environmental problems and an ageing population. I am a firm believer in the idea that freedom of speech has long-term economic consequences. China certainly has the potential to lead the world, but I’m not convinced she will until she undergoes significant political reforms. However, China has one huge advantage over the US: It is much more culturally and ethnically homogeneous. I’m not sure China will dominate the world at the end of this century, but I’m pretty sure it will still exist. I cannot say the same thing with confidence about the Unites States. Current American policies are based on the assumption that the USA will basically remain the same when European Americans constitute a minority as when they constituted 90 percent of the population. That’s a leap of faith. Maybe I’m biased sine I’m European myself, but accepting immigrants from a limited pool of nations on the same continent with similar cultural background isn’t the same thing as accepting immigrants from every single cultural racial and religious group from 200-odd nations across the planet. Just because you can pull off number one does not necessarily mean that you can pull off number two. It’s a classic case of ideological overstretch. In my view, the roots of the current Islamic Jihad against the West can be traced back at least to the 1970s. It started perhaps with European appeasement of Palestinian Jihad terrorism a la Arafat and the establishment of the Eurabian networks to appease Arab OPEC countries following the 1973 oil crisis. Then we had the Iranian revolution in 1979, when many Western leaders, both Europeans and US President Jimmy Carter, contributed to the success of the Ayatollah Khomeini and his Islamic takeover. We should also mention the appeasement a decade later when the same regime declared its death sentence over author Salman Rushdie. Even British conservative PM Margaret Thatcher was rather weak in her response to Islamic aggression at home and abroad at that time. But a cancer is sweeping across Europe right now, a cancer of Islamic Jihad, and Mr. Clinton helped giving it optimal growth conditions. Muslims, backed by Saudi oil money, have been building up the Balkans as a launching pad for Jihad against the West. Instead of a Westernization of the Balkans, we risk getting a Balkanization of the West. 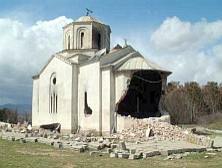 The Serbs consider Kosovo their Jerusalem, the cradle of their nation, littered with churches and monasteries that are now being desecrated by Albanian Muslims. Do the Americans believe Muslims will be less eager to gain control over the Jerusalem of the Middle East if the Americans hand over the Jerusalem of Europe on a silver platter? And do they think sacrificing other non-Muslims to ethnic cleansing will make them respected by Muslims? During the presidency of Ronald Reagan in the 1980s, the United States did great service to humanity by helping to bring down the Soviet Union.. Even Reagan wasn’t perfect, especially in dealing with Muslims, but for the most part I have no problem with saying that the USA then acted as a champion of human liberty. Under Clinton in the 1990s, however, they acted as the global enforcers of Multiculturalism and Political Correctness. And therein lies the rub: They contain within them the seeds for both. Americans are currently under the spell of a massively dysfunctional ideology. If the United States remains wedded to Multiculturalism, it will eventually implode as a superpower, perhaps physically fall apart in a Second American Civil War. In the meantime, precisely because they are so economically powerful and culturally influential, they will export a dysfunctional ideology to other nations. It’s a bit like having a schizophrenic patient armed with a bazooka, hurting real people while hunting for imaginary trolls. At the beginning of the 21st century, the United States has become a “universal nation,” which is a nice way of saying a country of nothingness. Wouldn’t it be ironic if the superpower that was declared the winner of the Cold War collapsed only decades after the superpower that lost the Cold War, and for some of the same reasons? I’m not saying that this is inevitable. It’s not, not yet, but it’s a possibility that increases in likelihood day by day. What happens if not just the minorities, but the white majority, too, start seeing themselves as a tribal group? Multiculturalism could cause the downfall of the United States and the end of the American dream. That would be sad, for it was a good dream, but maybe it was a dream after all. Will the USA in the coming years act as the champion of liberty or of Multiculturalism? Much depends upon the answer. Miss Kelly, who blogs from Boston, has an excellent roundup of reports on Friday’s forum at the Fletcher School of Diplomacy, “Islam in Democratic Societies: The Struggle Between Radical and Moderate Islam and the Future of Islam in the West”. She was present and has her own account of the event, plus links to other blogs’ reports. It’s recommended reading. Needless to say, I had visions of the future Baron being hauled off to the hoosegow with expensive legal proceedings to follow. As you may recall, this kind of thing has happened before at his school. I called him this morning to suggest that he at least make a “concerned report.” He waved away my worries, assuring me that she wasn’t invited to the party in the first place, and that she was far too intoxicated to recall the events of last night. I am no so sanguine as he, especially after he related a later incident in which he had to remove her and her boyfriend from his bedroom where they claimed to be “dancing.” After he managed to extract them from his room, he locked the door against future intrusions. Feminism is a snake pit now. It exists solely to promote abortion rallies and arrange emasculation events. The average guy has no idea when his very own borking experience is going to hit him upside the head. Since these attacks come out of the blue, the safest place today is a monastery. This will suit the women fine, until they discover they’re not allowed in. Then it will be choruses of “No Fair!” followed with an investigation by the Equal Opportunity Employment Commission. Welcome, my son, to the new and darker Dark Ages. Naser Khader, who is a moderate Muslim, a member of the Danish Parliament, and the founder of the Democratic Muslims, has just finished a visit to the United States. His final appearance was at the Fletcher School at Tufts University, where he took part in a conference entitled “Islam in Democratic Societies: The Struggle Between Radical and Moderate Islam and the Future of Islam in the West”. He took a tough stance against the appeasement of Muslim radicals, debated Irshad Manji, and warned his American listeners of the dangers of using radical Muslims as government advisors. Coming on the heels of the latest dhimmi behavior of various government authorities throughout the West, Mr. Khader is delivering a timely message. After all, US government agencies, including the FBI (which Phanarath calls the “Federal Bureau of Islamists”), use CAIR and similar jihad-sympathetic organizations to give their employees “Muslim sensitivity training”. We would do well to heed Naser Khader’s warning. Both governments and information services should be very careful about which Muslims they consult as advisers in their affairs, warned Naser Khader, when he spoke on Friday afternoon to a controversial conference at Tufts University in Boston. Boston — The university has a Saudi donor, who was quite indignant that the conference “Islam in Democratic Societies: The Struggle Between Radical and Moderate Islam and the Future of Islam in the West” had invited a controversial group which included the French-Algerian journalist Mohamad Sifaoui, the Canadian Muslim reformist Irshad Manji, and Naser Khader. The conference was thorough, even though Mohamad Sifaoui was unable to be there because of visa problems. Naser Khader used the occasion to once again present controversial material in his speech, which he has woven into his weeklong visit to the USA. This trip he has focused on the naïveté of the authorities in relation to the Islamists, and he used examples from Denmark to show how the authorities err when they use Islamists as advisors. “In Denmark PET used the Danish information services; for many years the Islamist imam Abu Laban, who managed the campaign against Denmark during the Mohammed crisis, was an advisor. The earlier operations head of PET, Hans Jørgen Bonnichsen, in the bargain thanked these Islamist imams for their help in controlling Danish Muslims during the Mohammed crisis. Thus the Danish government showed its indirect approval for Abu Laban and his like-minded fellows and gave them in that way a powerful platform. Now they can stand in their mosques and say, ‘We are used as advisors for PET and the government, and that is because we are important and our interpretation of Islam is the correct one.’ This is totally naïve, but Hans Jørgen Bonnichsen is now fortunately retired on a pension,” said Naser Khader. He spoke along with the popular Canadian activist Irshad Manji, who in her own presentation talked about the need for teaching women in Muslim countries to read, so they can read the Koran themselves. “I know a woman in Kabul who had been fair game for her husband, but then she learned to read and found out that it does not say in the Koran that a man may beat his wife, and she showed it to her husband. From that day on he no longer beat her,” said Irshad Manji. Naser Khader strongly disagreed with Irshad Manji in applying this as motivation for men to refrain from violence against their wives. “If a man does not beat his wife, it should be because he loves and respects her as a person, and not because of what it says or does not say in the Koran,” said Naser Khader. Over and above using PET’s group of imams as a frightening example for Denmark of naïveté concerning the Islamists, he also cites to the newly-developed Unity List [hos Enhedslisten; not sure what this is — BB] and their nomination of Asmaa Abdol-Hamid, whom Naser Khader describes as an Islamist — not on the basis of [the issue of] the veil, but on the basis of her conduct. “Islamists use the victim mentality as leverage to gain influence, and the left wing and the Unity List love to sacrifice. Therefore they have now also nominated an Islamist to Parliament,” said Naser Khader. With the conference in Boston his weeklong program in the USA has come to an end, and he returns to Denmark this weekend. Update: Corrections are coming in from Scandinavian readers. So far Phanarath and LN have helped me with changes. Many thanks! For a complete Fjordman blogography, see The Fjordman Files. There is also a multi-index listing here. [editorializing in this post by Dymphna]. Pipe welder Bill Hendeley Jr. said he was fired from his job Wednesday for using the word “Mexican” in describing a person from Mexico at a group safety meeting. Hendeley said he has worked for Fagen Inc., an engineering and construction company based in Granite Falls, Minn., off and on for the past 10 years. The company is building an addition to the Big River Resources ethanol production plant in West Burlington. Hendeley, who recently moved to Burlington, said he has never been fired, has never even been reprimanded for making inappropriate comments, and co-workers describe him as a model employee. At a group safety meeting Wednesday, however, Hendeley singled out supervisors and a Hispanic worker for smoking in inappropriate places. Smoking is only allowed in a designated area across the road from the plant. “I guess if you’re a supervisor or a Mexican, you can smoke anywhere you like,” Hendeley reportedly told an Hispanic safety supervisor. Oops, can you see where this story is headed?? Following the suspension, Hendeley and his co-workers said they observed supervisors and a Hispanic woman smoking in trailers near the plant. Hendeley said he simply was pointing out discrepancies in policy enforcement. After the safety meeting, Hendeley was called to a private meeting with the safety supervisor and two other managers to discuss his comments, and was fired shortly after, he said. “We don’t support discrimination on our job site,” said Chad Warner, Fagen project supervisor. Warner declined to comment on the case further. Hendeley asked the safety supervisor if calling someone from Mexico a Mexican offends him. The supervisor answered “yes,” according to Hendeley. Can you say "this was an example of mau-mauing?" If you dare you're in deep do-do with the Language Police. Please note that it was not reported what the consequences are for calling someone a supervisor. Use of the word immigrant as an insult can amount to proof of racial hostility, the court of appeal ruled yesterday. The court held that a charge of racially aggravated assault against a woman who attacked a GP after referring to him as “an immigrant doctor” had been wrongly thrown out by Judge Breen at Luton crown court in January. He decided that “immigrant” did not denote membership of a specific racial group under the 1998 Crime and Disorder Act. But three appeal judges said he should have left the matter to the jury. he defendant, Mrs D — who cannot be named for legal reasons — [and because she's a blooming idiot] took her son aged three to a Bedford surgery because of a rash. Dr Hair Newal said the child could go home, but she should contact the surgery if further symptoms developed. She then tore the letter he was writing and tried to grab her son’s medical records. Dr Newal suffered scratches. Lord Justice Auld, sitting with Mr Justice Beatson and Mr Justice Wakerley, said use of the word “immigrant” could denote membership of a broad racial group. The judge was wrong to rule it simply meant “non-British”. It had been for the jury to decide whether the use of the word demonstrated racial hostility. 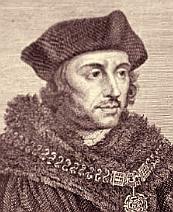 The judges’ decision was in reply to a point of law raised by the attorney general, Lord Goldsmith. The ruling did not overturn Mrs D’s acquittal. I'll bet it's a comfort to the British taxpayer to know how much officious official time and money is being spent on trifles like this one. Well, no doubt it keeps the judges and Lord Goldsmith off the streets and out of trouble. Does anyone else have more Orwellian anecdotes to pass on to us? Please leave any stories of officious idiocy in the comments where we can all enjoy them…or weep in our cups as the occasion may call for. British anti-terror police early on Tuesday arrested six Muslim on suspicion of inciting terrorism overseas and raising funds for terrorists. Five arrests took place in London, and the sixth in the southern English city of Luton, near the capital. The men included Jamaican born Abu Izzadeen, who last September famously heckled interior minister John Reid as he gave a speech to Muslim leaders urging them to stamp out extremism. 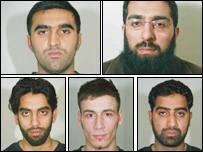 Izzadeen and the other five men — all aged between 21 and 35 — are reportedly being held at an unnamed police station in central London. That’ll teach you to mouth off, Izzadeen. “The arrests form part of a long-term pro-active and complex investigation into alleged incitement and radicalisation for the purposes of terrorism, as well as alleged provision of financial support for international terrorism,” a Metropolitan police spokesman said. The news story goes on to say that these guys aren’t related to the 7/7 train bombings. I suspect this means that no one is willing to make any connections and muddy the situation any more than it is already. Note that one of these fellows is from Jamaica so I presume he can be sent packing after whatever term in jail he is entitled to. If we were more interested in our survival than in the finer points of freedom for all, we’d put some kind of GPS system on these vermin before they’re released. Which is not to say they wouldn’t find a way around that eventually, but for awhile the human intelligence gathering would be of great benefit. Don’t you wonder how long it would be before the EU outlawed such “inhumane” treatment? That would happen before the killers and beheaders figured their way around the system. 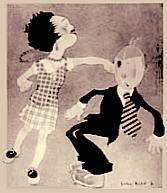 The lumbering, corrupt EU elephant can move like a ballerina when it feels threatened. Meanwhile, should you have been concerned that they were slumbering in Brussels, not to worry. They warned: “The livestock sector presents the greatest threat to the planet.” The proposal will be looked at by the 27 member states. The UN says livestock farming generates 18 per cent of greenhouse gases while transport accounts for 14 per cent. There’s really a simple solution: give all citizens one of the United Nations’ SUVs. In no time at all, the emissions for transportation will pass that of the animals. Problem solved. Meanwhile, we could provide corks for Porky and Bessie, so their emanations could be contained. Problem further solved. However, if you want a radical solution to hot, poisonous air, eliminate the UN and the EU. Just think of the reductions in bloviation. Enough to give LA clear skies. Why do they make these things so complicated? Oh…of course, jobs for the criminal bureaucratic class. Otherwise we’d have thousands out on the streets in their $400.00 shoes, panhandling among ordinary citizens. Never mind. Some solutions are worse than the problems they are designed to correct. Last month I urged Gates of Vienna operatives to go to Kansas City to attend “First Freedom”, the initial event in a series of Department of Justice seminars on religion freedom. Signals traffic from CAIR, ISNA, and similar organizations indicated an inordinate amount of interest in these seminars by people who, shall we say, may not have America’s best interests at heart. Our suspicion was that CAIR etc. wanted to pack the events with their own people and thus attempt to further entrench the hate-speech-averse, anti-profiling, and anti-”Islamophobic” culture in the federal bureaucracy. Criminal Statutes Protecting Individuals From Religious Hate Crimes and Interference With Religious Exercise. Tampa Pirate then goes on to give an account of the speakers, and the subsequent question and answer section of the seminar. After the Q&A and a short break we started the last two sections. The presenter was Mark Kappelhoff, Chief Criminal Section USDOJ Civil Rights Division, who has dealt with some very difficult cases of civil rights violations. However during the presentation he cited a few cases of civil rights violations and those were white skinhead on Jew and whites on Muslims. He also spent a lot of time discussing the sensitivity in the DOJ to Muslims and retaliation against Muslims post 9/11. During the Q&A after the final two sections I pointed out to Mr. Kapplehoff that since 9/11, 31 non-Muslims have been killed and 25 injured by Muslims on U.S. soil. The victims were mainly Christians and a couple of Jews and they were killed by Muslim snipers primarily yet none of these cases gets any media attention with the exception of the Virginia sniper attacks. I sighted numerous cases, and pointed out that many times crimes against white Christians are not viewed as hate crimes. He confirmed that hate crimes can be committed against any race and any religion. A) The threat has to be directed at an individual or a corporation, and must be truly ominous in nature. B) It has to be a true threat, not just a veiled threat. Unlike many at CAIR, I know that there are good people and bad people. Guys like Mr. Bedier have a history of saying and doing bad things. He supported Sami Al-Arian, and he has said organizations like PIJ (Palestinian Islamic Jihad) were moral organizations prior to 1996 (even though they carried out terrorist attacks on innocent people). These were just two examples. He is also always preaching that Christians and others need to learn tolerance for Islam, yet he does not require the same of his own people. If he did he would be spending time trying to get the Jihadist website removed because that is where many Americans get their biased views. If he wants to clean-up my backyard, he needs to clean his front yard up first. A big thank-you to Tampa Pirate for attending the seminar and helping to extend the agenda to cover more than “Islamophobia”. Next up in the “First Freedom” series is Seattle, Washington, on May 10, 2007. More information about the seminar is available here. We’ll need volunteers in Latte City for this event — if you live in or near Seattle and are willing to attend, please send Gates of Vienna your report, and we’ll post it here. Hat tip: Christine of Vigilant Freedom. Wednesday’s post about the new alliance between SIAD and various other Danish counterjihad groups provoked a lot of discussion in the comments. Anders Gravers was taken to task for associating with Julius Børgesen, who is alleged to be formerly affiliated with a Danish neo-Nazi group. One of the consequences of the relentless name-calling and demonizing of conservatives by the Left is that the epithet “Nazi” ceases to have much meaning. By now it has come to mean no more than “anyone who doesn’t agree with the Progressives, Socialists, Greens, and Feminists.” Like much of the rest of our vocabulary, the currency of the word has been debased by the Glossocracy. As for “real” racists and Nazis, I don’t consider them a big issue. It’s not like our prisons are filled with Nazis, or 70% of all violent crime including rapes are committed by Nazis. We don’t have huge unemployment problems within our Nazi no-go zones. We don’t constantly hear about Nazi groups demanding respect and special treatment. Forced Nazi-marriages haven’t been a big issue lately. And if Julius Børgesen indeed left Nazism behind, it seems to have happened completely without any death threats against him. 70 years ago the Left was all about sucking up to the Nazis. Now after they are long gone, the Left gets all brave and wants to fight them. It’s much more convenient to fight tyranny after it’s gone. Fighting the tyranny that we have today is nasty stuff; I mean, they can fight back, just to name one rather unpleasant thing. The tyranny we face today is Islam, and personally I always get happy when I hear of someone who left Islam behind. Any freedom-loving person should be happy when someone leaves tyranny behind, be it Nazism, Communism, or Islamism. It’s one for the good guys. Sorry, no real blogging today. Readers who are non-religious may want to skip this post. Sometimes I have a strong need for the 39th Psalm. During difficult times, parts of it will just appear in my head, causing me to reach for a Bible or a prayer book so I can remember the rest. What follows is a sort of blend between the Jerusalem Bible version and that of the 1979 Book of Common Prayer, rewritten to reflect the way I remember it when I need it. At times like this, that is. 1 I said, “I will keep watch on my actions, so that my tongue gives no offense. 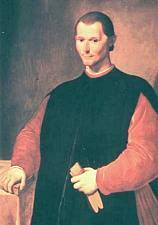 3 I remained silent and said nothing; I refrained from speaking evil, even though my suffering was unbearable. 5 Lord, tell me what my end will be, and the number of my remaining days, so that I will know how frail my life is. 6 You have given me no more than a moment of life; my days are nothing to you. Those who stand tall on the earth are only a puff of wind. 7 Each of us moves like a shadow, and our turmoil is in vain; the riches we amass are to be taken by those we do not know. 8 So, Lord, what can we hope for? My hope is in you. 9 Release me from the burden of my sins and do not let me be ridiculed by fools. 10 I remain silent; I will speak no more, since you yourself have been at work. 11 Remove from me your affliction; I am worn out from the blows you have dealt me. 12 You have punished us with the wages of sin; like a moth, you eat away all that we hold dear; each of us is indeed only a puff of wind. 13 Lord, hear my prayer; attend to my cry for help; do not be deaf to my weeping. 14 I am your guest, and will be here only for a little while; I am a wanderer, as were all my ancestors before me. 15 Turn your gaze from me that I may breathe easily again, before I go my way and am no more. 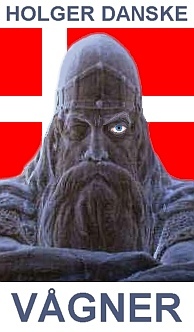 Note: this post contains my first attempt at translating modern idiomatic Danish. Danish readers are invited to correct me. My vocabulary is fairly good (with the help of the dictionary), but I’m still shaky on the idioms. If I’ve departed from the sense of the text, please let me know. Nit-pickers are welcome! Update: Skjoldungen helped me correct a sentence in the fourth paragraph — a complete reversal of the meaning! Thank you, Skjoldungen. Naser Khader is an honest-to-Allah moderate Muslim, an outspoken critic of radical Islam, and a member of the Danish parliament. He has taken great risks by forming the Democratic Muslims (Demokratiske Muslimer), a political organization dedicated to the integration of Denmark’s Muslims with the country’s democratic political institutions. Americans are showing a strong interest in the [Danish] parliamentary politician Naser Khader — who during this week is visting Washington and Boston — especially after a TV documentary about moderate and radical Muslims, including Naser Khader among others, was withdrawn. The broadcast “Islam versus Islamists: Voices from the Muslim Center”, which deals with Islamism and the subject of Mohammed, was produced by PBS (Public Broadcasting Service). It has set tempers flaring in the USA, which is also experiencing problems with self-censorship, and in which one is not allowed to criticize the more radical groups among the Muslims, as Naser Khader does in the broadcast. That has also implied an internal critic of the broadcast within PBS — which may be compared with DR [Danish National Radio] — who has so far has prevented the documentary from being shown. Also appearing in the broadcast are the imam Abu Laban, a Danish inmate at Guantanamo named Slimane Hajd Abderrahmane, and the recently sentenced Said Mansour, all of whom come with a pronounced hostility towards moderate Muslims. Among other things, the prominent leader Slimane Hajd Abderrahmane claims that a Muslim who participates in democracy is a lapsed Muslim, and that is something that only Allah can judge. A lapsed Muslim, according to a strict interpretation of Islam, is under a sentence of death. The Washington Times has written a feature article as recently as April 13th entitled “In praise of moderate Muslims”, which demands that the TV documentary be aired. The article describes Naser Khader as the documentary’s absolutely central figure, who has with unjust certainty paid a high personal price for actively taking part in Danish democracy. The debate has shown that in the USA as well, Naser Khader stands out as a symbol for the struggle against both self-censorship and radical Islam. This focus has resulted in members of Congress and senators asking to meet Naser Khader. American TV refuses to air a documentary featuring Naser Khader. Moderate American Muslims disagree and intend to start an international organization in cooperation with Khader. WASHINGTON: Naser Khader is more critical of extremist Muslims than an American audience seemingly can digest. The left-liberal politician and MP has a leading part in a new controversial documentary with Denmark and the Mohammed cartoon crisis as its subject and it depicts a worldwide battle between moderates and extremists within Islam.. But the largest public TV network in the USA — PBS — now refuses to show the movie. According to PBS it is “extremely unilateral” and “demonizes” Muslims. “I don’t understand it. These are Swedish conditions” says Naser Khader, who finds the movie “good”: “I like it. Everyone should support a project which aims to prevent a minority from getting a monopoly on how to understand Islam. That almost happened in Denmark up until the Mohammed-crisis”. The movie was shown at a private venue in Washington Tuesday, and again last night for members of Congress. Moderate American Muslims praise the movie and criticize PBS for strangling an important debate. At the same time they express great interest in Naser Khader’s organization of Democratic Muslims in Denmark. With Khader as a main inspiration they will now try to establish an international organization to counter extremism and demonstrate that Islam can function inside a Western democracy. “The world needs to hear more balanced voices from the Muslim community. If we are to defeat the extremist factions we have to be as well-organized as they are” says Zainab Al-Suwaij, director of American Islamic Congress which has 3,000 members in the USA. Muslims from a host of other countries are participating as well. Naser Khader hopes that the organization can be launched at a conference in Copenhagen and will have its main office there. One of Mr. Khader’s stops on his American itinerary is at the Jebsen Center for Counter-Terrorism Studies, at the Fletcher School at Tufts University, where he will take part in a conference entitled “Islam in Democratic Societies: The Struggle Between Radical and Moderate Islam and the Future of Islam in the West”. The overarching theme of the conference explores the need for governments - particularly those in the West - to support moderate Muslim organizations and thinkers. Six prominent contemporary Muslim intellectuals from both Europe and the United States will, in two panel discussions, analyze the current tensions within the Muslim world, focusing on Muslim communities in democratic, non-Muslim majority countries. The first panel will outline the ongoing struggle between moderates and radicals for the leadership and representation of Muslim communities in the West. The second panel will address the issue of what democratic governments can do to support organizations that foster moderate interpretations of Islam by presenting three cases of recently-established progressive Muslim organizations. In line with the Jebsen Center’s goals, this conference focuses on prediction and prevention: the global campaign against terrorism must involve the moderate sectors of Muslim communities. One powerful way to isolate and deter radical elements is to empower the moderate voices in the Muslim community and maker their message a viable alternative to fundamentalist ideology. This event will offer an innovative approach to the war on terror and concrete policy options to fight extremism within our societies. We’ve seen a lot of discussion about the “moderate Muslim” in this space, with some contributors and commenters arguing that such a creature does not really exist. But Naser Khader is most definitely a Muslim, and most definitely a moderate. According to the Danes I talked to, the man is sincere and dedicated. He has put his life on the line by urging Danish Muslims to stand with their infidel countrymen and support freedom of religion, freedom of speech, and constitutional democracy in their adopted homeland. One of the nights I was at Steen’s apartment, a group that included Fjordman and Steen discussed Mr. Khader at length. Everyone agreed on the central problem: the Democratic Muslims are a dwindling group, reduced to less than half the size they were several years ago. They still have significant support, but most of it comes from the Danes, and not from Muslim immigrant groups. 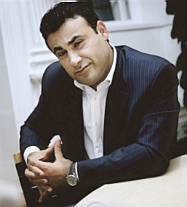 Naser Khader gains very little backing within Denmark’s Islamic community. The Danes are ahead of the rest of the West in most of their political trends, and unfortunately the attrition of the “moderate Muslims” is probably no exception. Let there be no doubt: these are brave people, who risk their lives to assert the rights that we in the West have so long taken for granted. As far as Muslims are concerned, the West is all too eager to cede those rights to the radicals. With little support from any direction, the moderates are hard-pressed to stand against the tide: most of them must either disappear into apostasy, join the Great Jihad, or be killed for their blatant heresy. Maintaining their moderation is a very difficult task indeed. Moderate Islam is like an unstable and radioactive chemical element, gradually decaying into more stable isotopes. It is untenable in the long run, and will someday cease to exist. Those who adopt modernity will repudiate Islam; those who refuse modernity will never be moderates. dead apostates who didn’t escape. All other positions are simply too unstable to persist. This eventuality will bring a clarity to our situation that we currently lack. The Counterjihad will at last be disambiguated. But, in the meantime, we must give our support to Muslims like Mr. Khader, who risk their lives and their families for the sake of our Western values. There are few enough like him, and they are almost certainly doomed. Hat tips: From the Danish side, Steen; from the American side, MR. And mange tak to Kepiblanc, who sent in the unsolicited translation. A synchronicity seems to be at work here tonight! If any issue deserves an appearance by the Ranting Man, this one does. So they cancelled any airing of the film on public television. Also, since PBS controls the distribution rights, they can prevent it from being shown anywhere else. But there is a small loophole: the producers can screen the film in limited-audience private viewings. Christine of Vigilant Freedom has issued an urgent alert: members of Congress can see the film tomorrow evening, and she wants everyone to write their congressbeing and insist that he or she attend. I told Rep. Goode that it was important that either he or a few of his staff attend the PBS documentary that the American taxpayer was not permitted to see. I said it was reprehensible of them to have it produced and not only refuse to air it, but also to refuse to allow the producers to let it be seen either. If we pay for something, we ought to be permitted to see it. I reminded him that these were the same group who sold their donor list to the Democratic Party a few years ago. A part of the media owned by taxpayers should have to honor their part of being publically funded by not dictating what could be seen and what couldn’t. Please contact your Senator or Representative and ask them to attend a special showing Wednesday, April 25, 2007 at 6:30 pm in Room 2247 Rayburn House Office building of the documentary “Islam vs the Islamists,” about the struggle by moderate Muslims against Islamist extremists. This is the documentary that PBS has blacklisted and that liberals and CAIR are trying to keep from EVER being shown on any network. The Corporation for Public Broadcasting has not released distribution rights to the producers, and they are under great pressure from Islamist groups to ban the documentary from ever being shown. The producers are able to do small showings such as this one tomorrow in Congress, and if you can convince your representatives or their staff to attend, CPB may release distribution rights so this excellent documentary can be seen around the world. We all ask why the voices of moderate Muslims are silenced by the extremists, and this documentary answers that question. We cannot permit far left bureaucrats in PBS and the Islamist Lobby groups in Washington DC to silence all voices. Below is some sample language for an email, fax or phone call to your representative. You can find your Congressional representatives’ contact information here. I want to bring your attention to an important event on April 25, at 6:30 pm for you and your staff. The documentary “Islam vs the Islamists,” banned by PBS, will be shown Wednesday, April 25, 2007 in Room 2247 Rayburn House Office Building at 6:30 p.m. This taxpayer-financed documentary, on the struggles by moderate Muslims against Islamist extremism, was dropped for left-wing political reasons from a television series that aired last week on more than 300 PBS stations nationwide. Please do not permit PBS to blacklist this documentary on moderate Muslims in the U.S. and overseas. Moderate Muslims are the very people we are trying to protect and encourage. The film itself has been viewed by numerous film professionals and their reviews are uniformly extremely positive. Based on what I’ve read and heard about the documentary, I hope that you and your staff will find it educational and eye-opening. The producers of the film, ABG Films, are trying to obtain distribution rights from the Corporation for Public Broadcasting. Please direct CPB to release the distribution rights. As a U.S. taxpayer who helped fund this documentary, I would like to be able to see it and to let others worldwide see it. Please do not let PBS stand in the way of freedom of speech and journalistic integrity. A reader from Zaire (how many do we have??) says this is his first attempt at poetry. He says he’ll be blogging soon. This effort has given him the impetus to try his hand at song-writing, too. Way to go, Zaire! When your blog is up and running, send us a link. Well now. I say, "move over, Leonard Cohen."